Sharing my latest round of Target beauty finds-all natural skin and hair products that won't break the bank! A few Saturdays ago, I woke up with the strangest feeling. I felt relaxed. For the first time in years, I didn't have anywhere to be or anything to do. No errands, no workouts, no work. Just free time as far as the eye can see. So I went straight for the bull’s eye. There's something really comforting about taking a solo Target stroll on a lazy Saturday morning. I took my time going up and down the aisles checking out the latest trends in clothing, house ware and snacks (I squealed upon discovering Baked Flamin' Hot Cheetos). And as the sideways gravitational pull drew me to the beauty section, I couldn't help but notice a few new brands displayed front and center. Since I had all the time in the world, I took the time to read up three all-natural and organic beauty brands that are making positive impacts in their communities. Now that's natural beautiful! SheaMoisture seeded its roots in 1912, in the home of Sofi Tucker who would hand make shea butter and other natural remedies to sell in local villages. Today, the company prides itself on making everything in its hair and skincare lines in a local factory in Amityville, NY. Their iconic shea butter is sourced from women's co-ops in Northern Ghana, helping them to be empowered and pave a path to success. Their bottles and jars are made from recycled materials and products are never tested on animals. Brooklyn based S.W. Basics' claim to fame is in the simplicity of its ingredients. Each product in its line of skincare, from cleanser to moisturizer, contains just five ingredients or less. I love the packaging as the glass jar and clean labels reflect the simplistic genius of the brand. 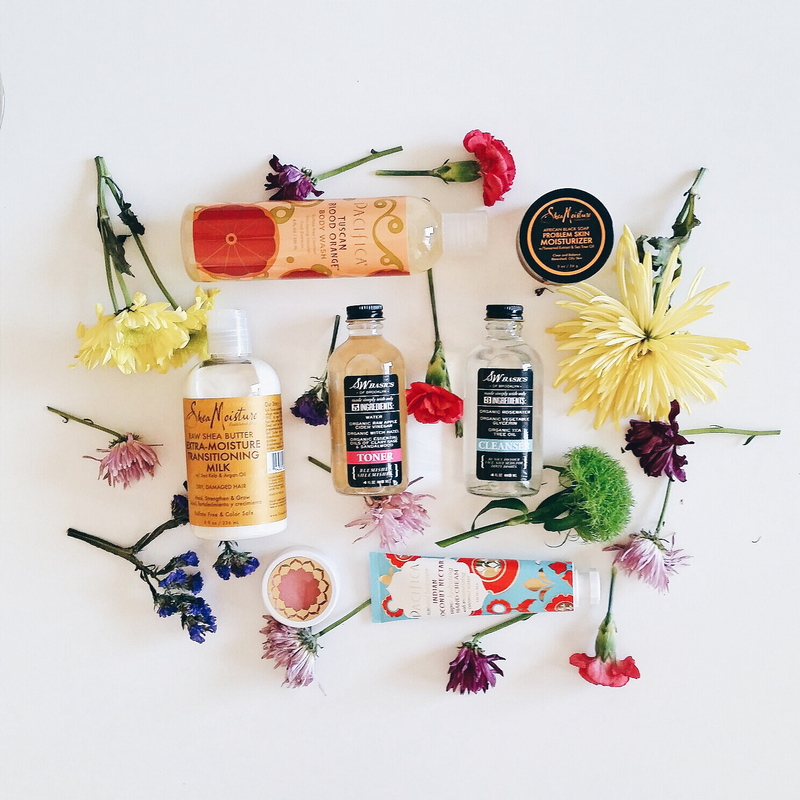 I'm quite familiar with Pacifica, a 100% vegan and cruelty-free brand based in Portland. I paid them a visit last year when I went on my Spread Joy road trip and was impressed to learn that many of the products in their extensive skincare, makeup, body, and home lines are made in-house at their headquarters! I'm so happy to see its products at Target as it's a company run by good people with a vision to make the world a happier place, one lip butter at a time!